Mammogram or not? That is the question. There is a lot of controversy and confusion over mammography and breast cancer screening. Screening recommendations vary in the US. 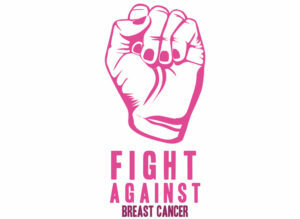 The American Cancer society guidelines say women with an average risk of breast cancer can wait until age 45 to have a first mammogram and should have them every year until age 55, and then start having them every other year. The U.S. Preventive Services Task Force says most women can safely wait until they are 50 to start getting mammograms and then they need only one every other year. For women over 70, almost no research exists for evidence-based recommendations. In the UK and Canada screening recommendations are every 3 years for all women aged 50 to 70. Breast cancer screening has saved lives, but it has also led to unnecessary worry and anxiety, as well as unnecessary testing and treatment. Breast cancer is a leading killer of women in the U.S. Every year, it’s diagnosed in 200,000 women and a few men, and kills around 40,000. Mammograms that give false-positive results are common. A 60-year-old woman screened annually for 10 years has about a 50% chance of having at least 1 false-positive that leads to follow-up testing and about a 20% chance of a false-positive that leads to biopsy. Put another way: For every woman who has her life saved from breast cancer, about three women are diagnosed with a cancer that would never have become life threatening. Waiting until age 50 and reducing mammography to every two years cuts the risks of false positives, over-diagnosis, and over-treatment in half but it has its drawbacks too. Women under 50 are more likely to have dense breasts and to have faster-growing cancers. African-American women also have higher rates of breast cancer in their 40’s than white women do. The benefit of a mammogram is greater for women in high-risk groups, such as older women, or women with a history of breast cancer in the family. As always it comes down to individuality. Assessing your own unique risks and having a conversation with your physician about your individual needs so you can make an informed choice. Whatever screening options are available, women should be aware of alternative screening methods and supported in making informed decisions about which screening method is right for them, and how often they want to be screened. The two biggest risk factors are age and genetics. A woman’s risk of breast cancer goes up with each decade, and if there’s a family history of breast cancer or a personal history of DCIS, lobular carcinoma in situ (LCIS) or atypical hyperplasia. The best-known genetic risk factor is having a BRCA mutation. This mutation is only implicated in about 5 percent of breast cancers. A woman’s risk of cancer increases to between 45 and 65 percent with BRCA, but only 1 in 500 women have that mutation. Lifestyle factors can affect your risk of breast cancer. Some of the best researched, and modifiable risk factors include drinking alcohol, being overweight or obese, and not being physically active. Talk to your doctor about these, and other lifestyle risk factors you may have. Women can learn whether they’re high-risk by using an online Tyrer-Cuzick risk model. Another risk factor involves breast density, how much normal tissue shows up on a mammogram. It is harder to see cancer in dense breasts and women with dense breasts have a four to six times greater risk of developing breast cancer. Ultrasound and MRI can look through dense tissue and possibly pick up cancers, but there’s currently no evidence that doing these additional tests will save lives and additional testing may lead to over-diagnosis. Adding ultrasound increases the likelihood of finding a cancer but also increases false positives. Ultrasound is particularly effective at differentiating a solid mass from a fluid filled mass. Small buildups of calcium are difficult to detect with ultrasound so it is usually combined with mammography. Insurance usually covers mammography and ultrasound, but coverage of MRI for initial screening varies. MRI uses magnets instead of radiation and picks up the most cancers with a low false-positive rate because it maps the blood flow in the breast. However, it requires an injection of dye, is expensive and is not available everywhere. One of the biggest concerns people have with mammography is radiation exposure. Mammograms do require repeated exposure to radiation, which may cause a very small risk of cancer if used over a lifetime. Modern mammography equipment uses very low dose radiation. According to the American Cancer Society the amount of radiation a woman receives from a mammogram is about equal to the amount received in a 7-week period from normal background radiation from minerals in the soil or cosmic radiation. Thermography is another method used in the screening of breast cancer. 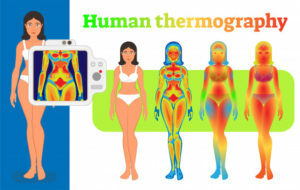 It uses a thermal camera to detect and record temperature changes on the surface of the skin and displays these patterns as a sort of heat map of the breasts. The presence of a cancerous growth or inflammation is associated with a higher skin temperature. It is a non-invasive, non-contact procedure, which does not compress the breast. It does not involve exposure to radiation, and so it can be used safely over time. It can detect vascular changes in breast tissue associated with breast cancer many years in advance of other methods of screening. It can be used for all women, including those with dense breast tissue and breast implants. Hormonal changes do not affect results. It has a high false-positive rate, which can result in the woman having to have the standard mammogram anyway. It has a high false-negative rate, which can lead to avoidance of the standard mammogram as a woman may feel she has been adequately screened. The FDA approves thermography only as supplement to mammography, not as a replacement. Both mammography and thermography tests can suggest the presence of cancer, but only a biopsy can make a definite diagnosis. To date there seems to be insufficient evidence to recommend the use of thermography alone for breast cancer screening. At the Holistic Health Clinic we welcome the opportunity to discuss individual recommendations for testing and exams in order to help patients make decisions that are best for them. It’s important to know your risk and get the screening that’s right for you. ← Why a menstrual cup?